Hollis JohnsonWomen don’t like to lick their fingers as generously as men when eating chips, PepsiCo’s CEO says. Indra Nooyi, CEO of Frito-Lay parent company PepsiCo, told Freakonomics Radio that it is looking at creating special chips just for women. 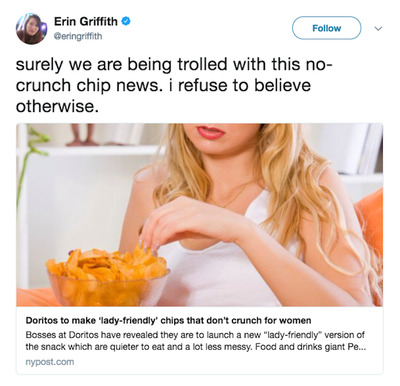 She said the new chips will be designed and packaged differently to reduce the crunch and limit the amount of flavour that gets stuck on consumers’ fingers. There’s been some backlash on social media. 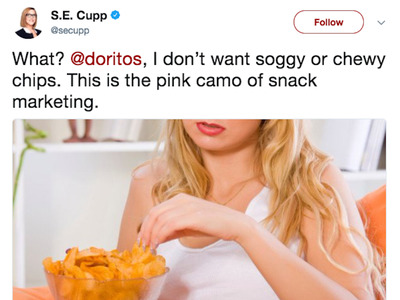 Doritos may have been trying to win over female fans, but it’s ended up offending many of them. 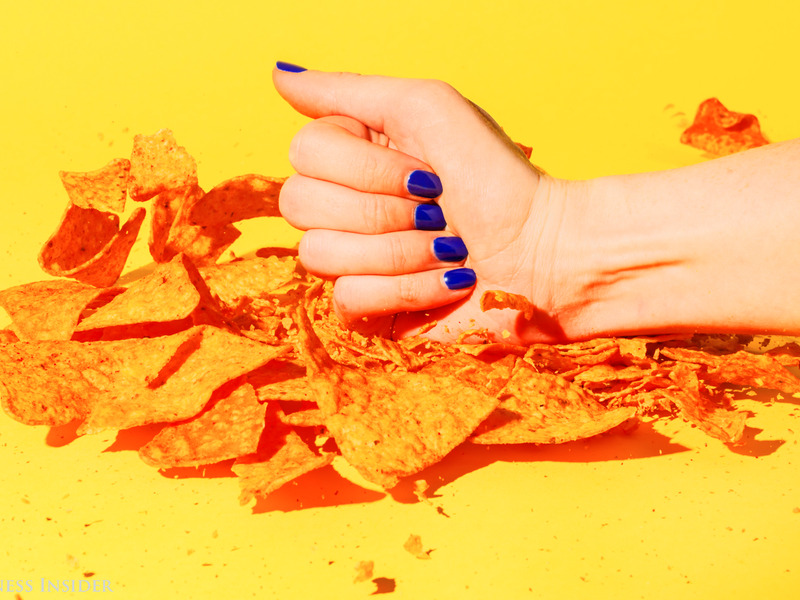 In a recent interview with Freakonomics Radio, PepsiCo CEO Indra Nooyi said that the company is looking at ways to develop women-friendly chips that do not leave flavour residue on fingers and have a less audible crunch. According to Nooyi, these are two traits of its chips that women don’t like. “As you watch a lot of the young guys eat the chips, they love their Doritos, and they lick their fingers with great glee, and when they reach the bottom of the bag they pour the little broken pieces into their mouth, because they don’t want to lose that taste of the flavour, and the broken chips in the bottom,” Nooyi told Freakonomics. The news has left some fans bemused. 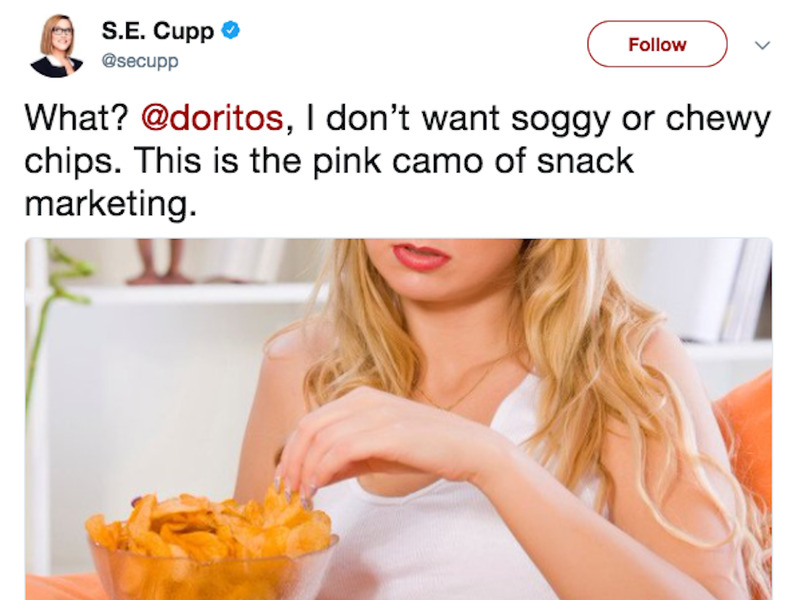 Some are concerned – will crunch-less chips be soggy snacks? Rather than winning over the hearts of its female fans, it has managed to ostracize some of them. PepsiCo did not immediately respond to Business Insider’s request for comment.